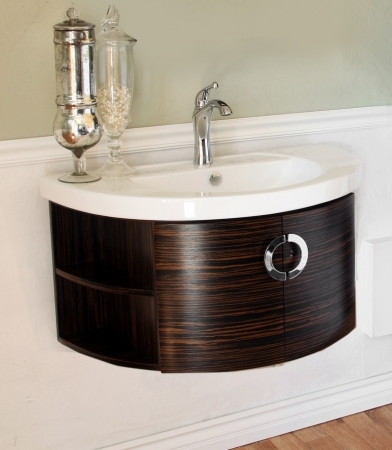 When you need functionality and style in a small package for your bathroom or wash space, this fun wall mounted vanity is a great choice. 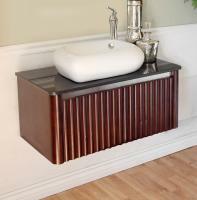 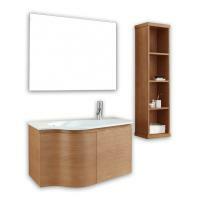 The rounded cabinet features ebony zebra stripes and an under sink storage space. 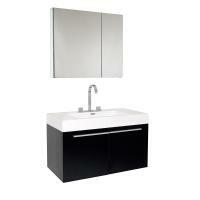 The integrated sink and counter top provides functionality and a little bit of space for standing a few items.